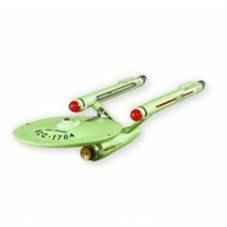 Box Text: Commissioned in the mid-23rd century, the U.S.S. Defiant served as one of 13 Constitution-class starships that excploredstrange new worlds on behalf of teh united Federation of Planets. 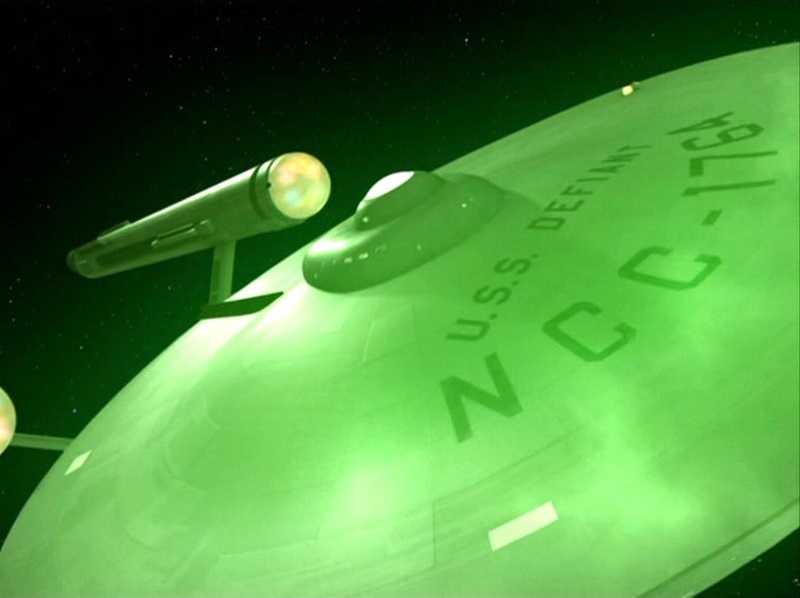 In the classic Star Trek episode “The Tholian Web” (1968), the Defiant became trapped in an area of spatial interphase between universes, the porperties of which gave universes, the properties of which gave the starship as eerie green glow before it was consumed by a rift to suffer an uncertain fate. 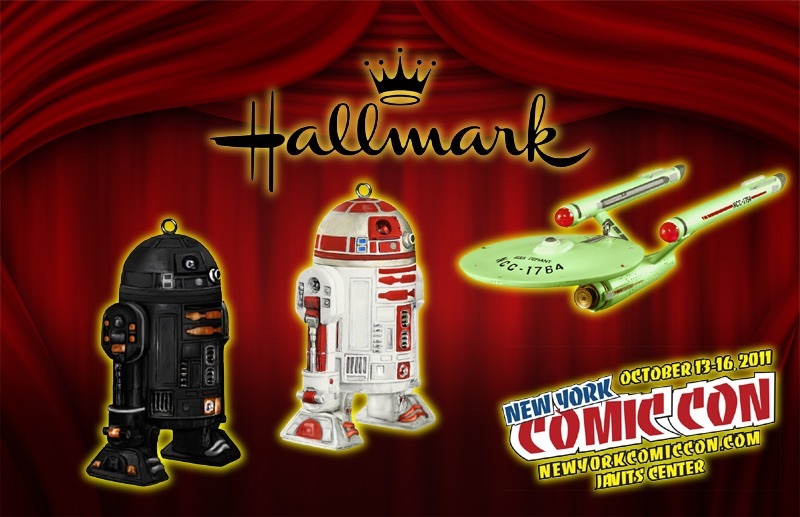 This special edition ornament is one of 700 issued for and only availlable at the 2011 New York Comic-Con Event. 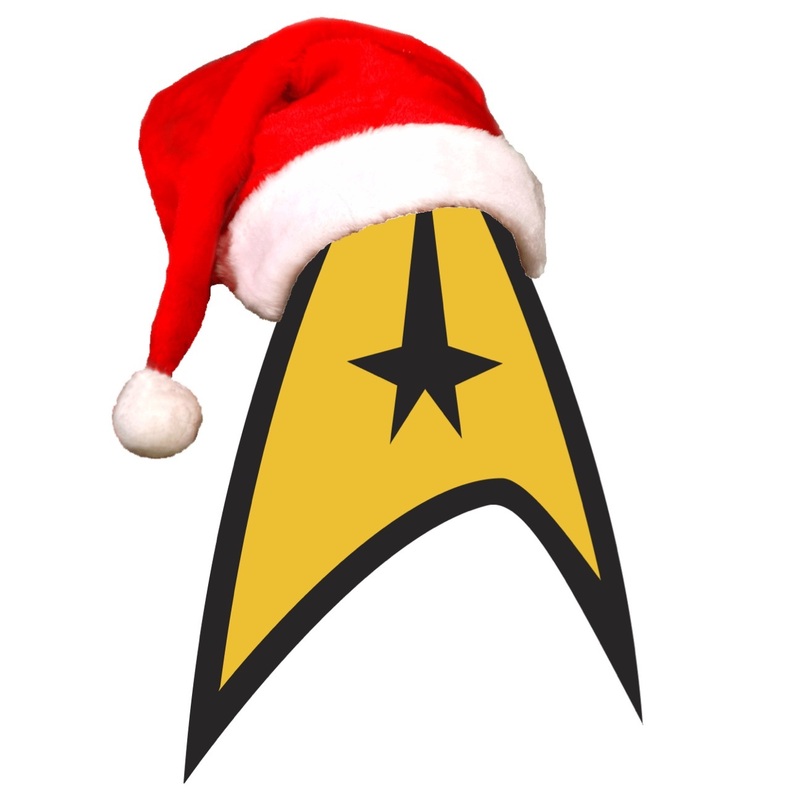 This entry was posted in 061) 2011 U.S.S. Defiant, 2011, Defiant, Glow in the Dark, Lynn Norton, Master List, Ships, Special Event Editions, ST: TOS (TV) on October 24, 2011 by garfieldandtrump.